~Georgia Marie, a visual artist, traveler and jewelry creator, first introduced Georgia Marie Designs to the public in early 2015. Drawing on inspiration from nature and travel, the handcrafted collection incorporates semi-precious stones, crystals, druzies, 14K Gold-filled and Sterling Silver chains. 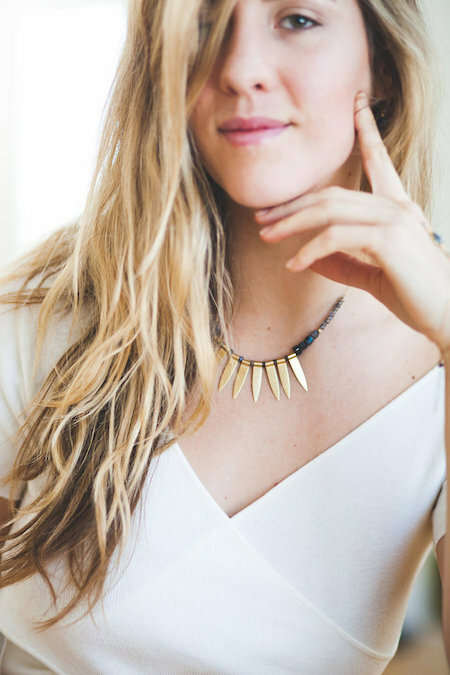 Ethereal, yet strong and durable, necklaces can be worn solo, or layered with multiple necklaces to enhance every woman's authentic sense of style.